Right now you can get this Insulated 3-Piece Lunch Set for ONLY $14.99 (Retail $37)! Many Styles! Pack your lunch in style and function with these adorable 3-piece sets. 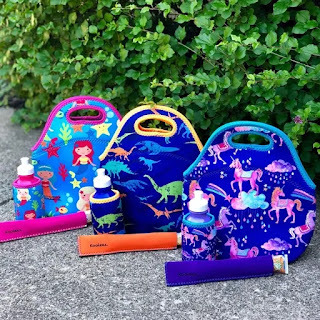 All made out of 1/4" thick neoprene and adorned in bright colors that won't fade, this set will keep your kiddos lunch cold and fresh for hours. Perfect for school, daycare, picnics, outings to the zoo, beach, and park, etc.